Our volunteers are extremely important to us, without dedicated volunteers Shorewatch simply wouldn’t be possible. 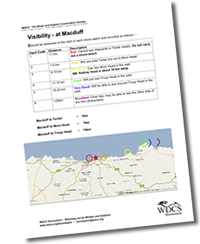 Volunteers are required to carry out regular 10-minute whale and dolphin (cetacean) watches from designated sites along the Scottish Coastline. Volunteers will be trained up to identify common cetacean species found in Scottish waters, use specialised watching equipment and record presence and absence sightings data. No experience of cetacean surveys is necessary to take part in Shorewatch; the only requirement is that you are willing and able to contribute to the programme by carrying out regular 10-mintue surveys at one (or more) of the designated Shorewatch sites. A list of the designated sites can be found on our map. Become part of a Scotland-wide Shorewatch monitoring network; taking action on behalf of whales and dolphins along your local coastline! 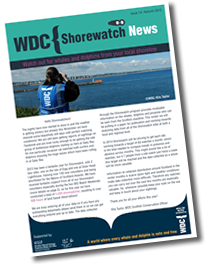 Download Shorewatch volunteer PDF here. “I love the anticipation every time I head out with my binoculars...the potential of possibly seeing a whale or dolphin and helping to gather vital information. Also being able to learn more about the different species and observing them in their natural habitat. My site is about a ten minute walk from the house and I often combine my watches with taking my 3 dogs for a walk. They happily play with bits of seaweed or driftwood whilst I watch. The site is on top of an old Iron Age settlement. You can still see the old middens with scattered shells, bones and broken bits of pottery and parts of old buildings sticking out of the dunes. It's the highest point in Balivanich and looks out over the Atlantic towards the Monach Isles and St Kilda. I fit my watches round work, but as from end of this month I’ll be off on maternity leave for a year and will be able to fit things round the weather/sea conditions instead. We have invested in an off road pram/buggy, so "Junior" can come along too! 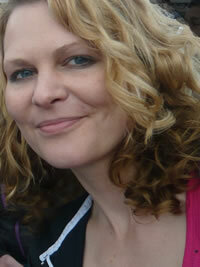 Since last summer my husband Hughie has been joining me too and we often do a ten minute watch each."